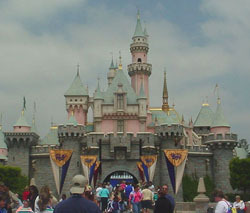 When you pass through the Castle you enter Fantasyland, the land Walt called the happiest kingdom of them all. This land is usually always crowded with many rides that are geared towards younger children. Pinocchio’s Daring Journey is a short dark ride that brings back many fond memories of the movie. It’s a Small World remains a popular attraction and can also be found in Fantasyland. Another ride that uses boats is Storybook Land Canal Boats. You start by entering Monstro’s Mouth and then you enter the world of miniature castles and homes of many Disney Characters.